Preparation: Give the squash a quick rinse and dry with a towel. Here is a great tutorial on “butchering” acorn squash. Nutritional Benefits: Acorn squash is rich in vitamin A, which support eye health and prevents the creation of cancerous cells. It is also a great source of vitamin C to promote the health of the immune and skeletal systems, and may help prevent heart disease and hypertension. The vitamin C content of foods is degraded by exposure to air, light, heat, and water. Accordingly, make sure to get the most out of your acorn squash by using the vegetable three to four days after you receive it. 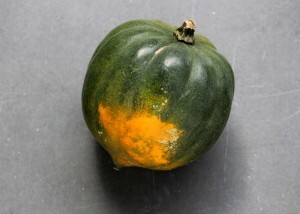 Steam or bake the squash instead of boiling it to keep vitamin C from being lost in the cooking water. Storage: Butternut squash can be stored at room temperature in a cool, dry place for a month or more. After cutting, wrap it tightly in plastic and refrigerate. Preparation: Give the squash a quick rinse and dry with a towel. Here is a great tutorial on “butchering” butternut squash. Nutritional Benefits: Butternut squash is extremely loaded with vitamin A, meaning it is excellent for eye health, cell maintenance, and bone remodeling. It also helps prevent cancer by regulating cell growth and differentiation, the processes by which cells split and specialize. 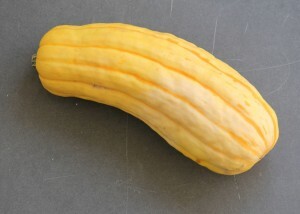 Storage: Delicata squash can be stored at room temperature in a cool, dry place for a month or more. After cutting, wrap it tightly in plastic and refrigerate. Preparation: PCut off the stem and chop as you’d like! Nutritional Benefits: Most winter squash are a good source of vitamin A (for eye health), vitamin C (for immunity), niacin (for heart health), phosphorus (necessary for bone and teeth health) and potassium (crucial for proper function of the body). Storage: Spaghetti squash can be stored at room temperature in a cool, dry place for a month or more. After cutting, wrap it tightly in plastic and refrigerate. Preparation: Cut the spaghetti squash in half lengthwise through the middle. Scoop out the seeds with a large spoon, and cook as you'd like. Nutritional Benefits: Spaghetti squash is low in fat and full of dietary fiber, which keeps you feeling full and may help reduce the risk of developing type 2 diabetes. Not to mention, it's a much lighter alternative to real spaghetti! 1 cup of cooked spaghetti squash has around 30 calories, while 1 cup of cooked spaghetti has around 220 calories!